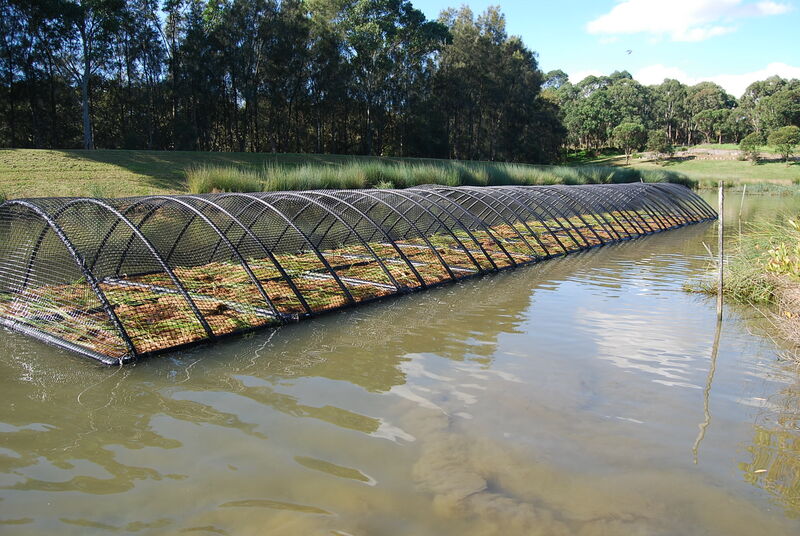 Construction of approximately 84m² of rectangular floating islands with bird netting. Islands and netting expected to have a life expectancy of more than five years. 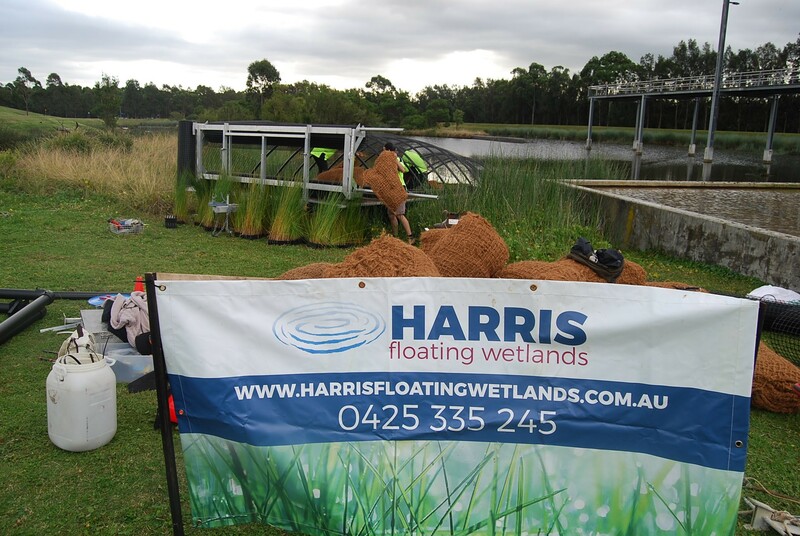 The construction of 21m x 4 floating wetland within what is known as the Northern Water Feature. 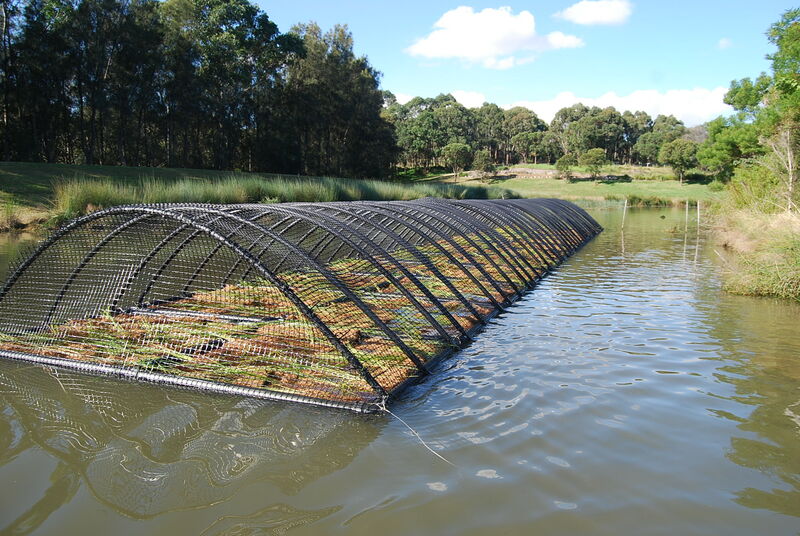 This wetland habitat is home to a large population of Ibis and Purple Headed Morehen so a bird protection cage was essential to protect plants at least in the short to medium term. The water feature is also home to one of the largest populations of the endangered Green and Gold Bell Frog, so the floating wetland will have the dual purpose of habitat creation and water treatment. Floating wetland planted with Baumea articulata and Schoenoplectus validus. 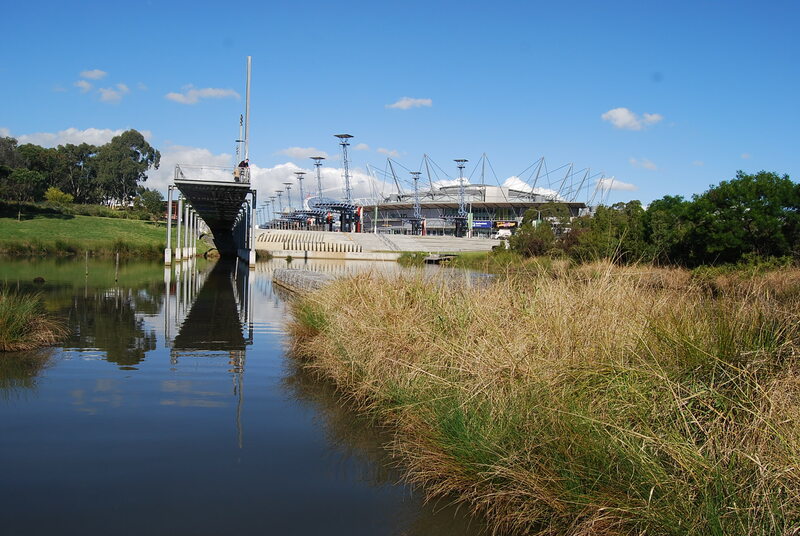 Issues: All works to comply with the Sydney Olympic Park Authority’s Biodiversity Management Plan Standard and to protect the habitat for the endangered Green and Golden Bell Frog.